In the unlikely event there is anything you are not completely satisfied with, please contact us as soon as you can in order that we can rectify any problems as soon as possible. 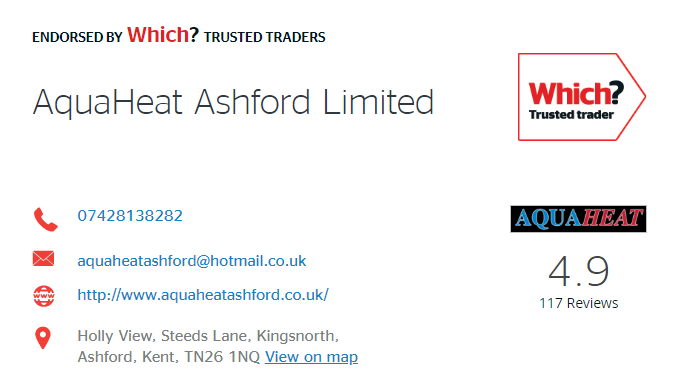 Either call us on 07428 138282, or write to us atAQUAHEAT Holly view, Steeds lane, Kingsnorth, Ashford. TN26 1NQ and we aim to respond within 14 days of receiving your complaint and where possible, will provide you with a date to remedy any issues raised.